Creating beautiful designs is often not enough. If you want to capture more leads, then you need to make your graphic design look professional, too. But the truth is, making your designs look professional can be a difficult task. Especially if you don’t know how to go about it. But don’t worry. There’s help to be had. In this blog post, we’ll delve into 10 important tips that will help you make your designs look more professional. When creating new designs, things can get a little dicey. You probably have dozens of ideas you want to incorporate in your designs and tons of features. All of which can make the whole thing pretty darn complicated. So by the time your designs get to the end user, they look like something that came out of a circus. To make things look more professional, make your designs simple. This way, thy will not only look professional but will also maintain their allure for much longer. Consistency is key to making your designs look more professional. In fact, it might just be the most important principle of them all. Picture this: You have a dazzling design but things seem to be all over the place. You’ve used too many colors and all sorts of fonts. Will your design look professional? Probably not. Here’s my advice to you: Ensure consistency in your design to make your designs look more professional. Use a limited color palette and stick to a maximum of two fonts. Consequently, you will give your designs a more cohesive look that’ll be more impressive and a little more professional. Adding contrast in your graphic design can make a huge difference in making your designs look more professional. And research backs up that claim. With a few tweaks in contrasts, you can dramatically boost how your designs look and communicate to your audience more effectively too. All it takes is a little understanding of how contrast works and how to incorporate both high and low contrasts to complement each other. Typography is the bread and butter of graphic design. If people can’t read your copy then they will either leave or struggle through the copy until they get exhausted. Either way, it’s a lose-lose. By using the right typography you make it easier for your visitors to understand and comprehend information more effortlessly. Not to mention a typographically well-formatted copy also makes your designs look more professional. It is therefore important to use choose the right typography that compliments and enhances your copy. And when done right it can trigger the right mood, emotion, and action from your visitors. Typography and contrast are only half the battle of creating professional designs. The next important thing you need to put into consideration is the texture of your designs. Now, this is a little dangerous because anything too much will detract from the main content. So you should do it in extremely subtle ways. In the past, you could get away with slapping together all sorts of things to come up with a design. I can recall a time when all you had to do is slap together a few beautiful images and you had a complete design. And maybe. Just maybe. Your audience would still love your designs. I’m sure you can relate to that. However, things have changed quite a bit over the past couple of years. Right now if you want your designs to be realistic and professional you have to add depth to your designs. Your designs have only one purpose: To bring more traffic to your website. When your designs are too busy, it gets a little too complicated for your visitors. And some might even think that’s it’s too dramatic to be for professional purposes. To make your designs more professional, you should use gradients sparingly. Not too much or too little but just enough to add depth and professionalism to your designs. Have you ever wondered how top brands like Coca Cola and KFC made it so big? Well, it all has to do with having the right strategy. And having the right color is part of the strategy. Think about it. There’s probably nothing that appeals more to peoples emotions than color. And sometimes, colors define the mood and influence certain responses. Of course, you have to understand the color psychology in order to manipulate your audience into buying into your designs. But having the right color certainly helps alter peoples perception of your designs and makes them look more professional. 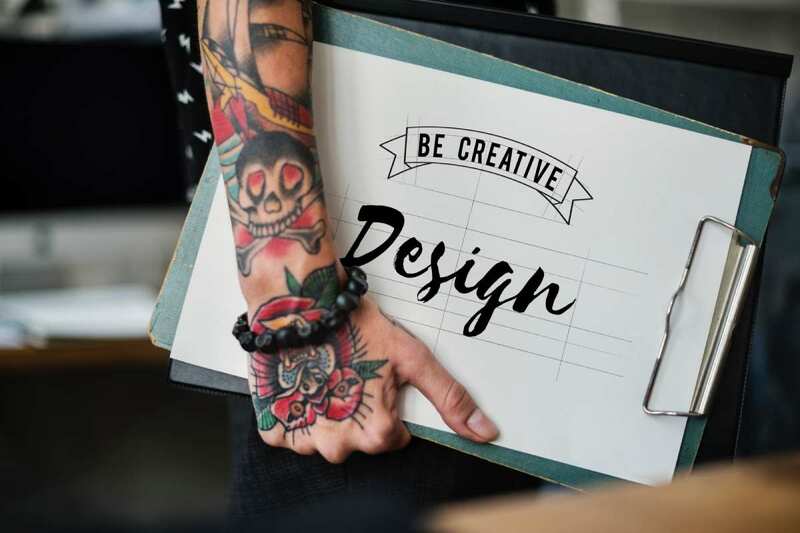 Don’t just make your designs for the fun of doing graphic design. Make designs that are streamlined and focused on a certain goal. Your designs are not attempts to assemble images and fonts together. Instead, they should drive a focused point. Keeping things focused helps make your designs look more professional and a lot more impressive. If you’re like most people, then you probably don’t like disorder. Well, neither do your audience. As a matter of fact, people comprehend information quicker if you convey it in a symmetrical and orderly manner. Plus symmetry also makes your designs look more professional. When you leverage the use of asymmetry, you’ll make your designs look more professional and also get more people to pay attention to your designs. As you can see, making your designs look professional doesn’t have to be overwhelming. Of course, there are plenty of other tips to help you improve your graphic design. But following these simple principles should be enough to get you started.